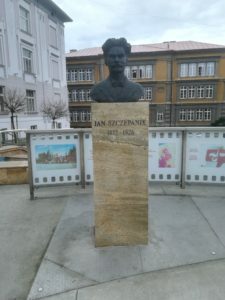 Walking through streets in Tarnów you may not omit the bust of Jan Szczepanik (1872-1926), an inventor who is known without a reason, as “Polish Edison”. Szczepanik’s affiliated with Tarnów through his marriage with Wanda Dzikowski (they got married in 1902 in the Cathedral in Tarnów). His inventions include colourful photography (Agfa and Kodak modelled on his patent), rudiments for the creation of television, a machine for waving tapestries as well as a bulletproof jacket which save life of the Spanish king, Alfons XIII. By gaining world fame, he befriended with Mark Twain who devoted Szcepanik two stories. 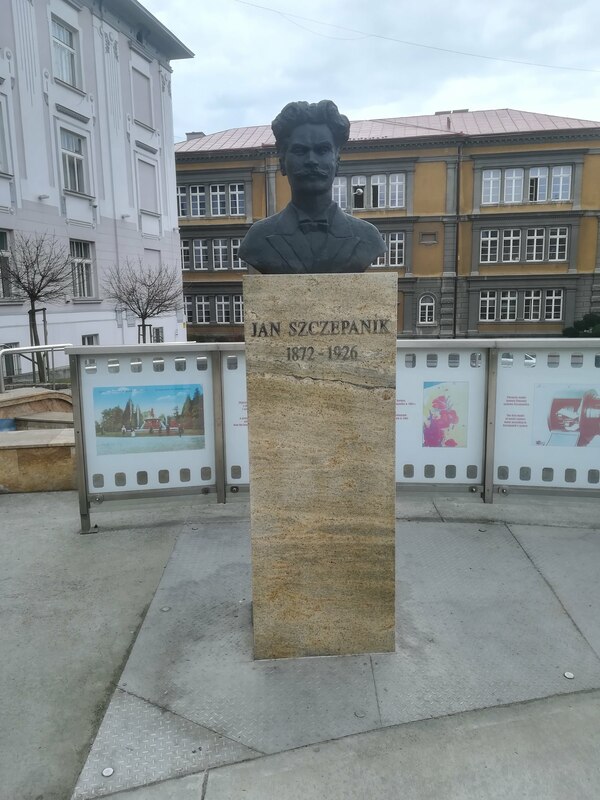 What is more, Jan Szczepanik’s fame made him be present at the Russian tzar, Nicholas II’s court (he was given some jewellery) and at the Emperor’s court of Austria. Szczepanik died in Tarnów of a liver cancer in 1926.